So your looking for the right crew to represent and you been doing some hard research for that right crew that suits you...am I right? Then we are not what you're looking for we're not just a crew we're a family a brotherhood and if this is what you truly want to represent then we ask for your commitment and true loyalty to Brotherhood, However you will be removed without a blink if you show any disloyalty whatsoever so as a highly organised Family that's been going since October 2014 loyalty means allot to this family, if you do well we can see you rise to the top of the ranks and earn the up most respect of the family. First week is a trial week this will add up to 7 days being active with us and it's on you to get the 7 days complete over the course of a week or a month it's your choice (It's time to get to know your family and decide if you want in). Inactive members are removed to keep our active member rating a 100%. Ranks are to earned while getting them dose require you to follow a higher ranks orders and helping with the grinde being paid or not, (Family membets will always find a way to pay you for your time) you follow orders you'll be soon giving them. Know the family has all kinds of jobs and business so dressing the part for each role will be required. Promotion and Demotion will go on your clan performance. The Clan has uniforms (will be shown these once you make it in after trail week). This Family sticks together so you should know GTA isn't all we play, so if you do so happen to want to chill with us on other game just know we are on a whole variety so if you need backup on a other game we just might have you covered. Everyone is welcome to come join we don't need you to be over level 1000 or have a wealthy bank account it makes no difference to family it's good to have members from all backgrounds besides once you start training with us I'm sure you'll have more combatants skill then allot of other players out there and the jobs we do have decent payouts legitimately. Have a good attitude to other members. Not to use any glitches or mods when with other members it's a big no no. You Must always keep this Family set as active crew. You must have a Mic / headset as communication is most important. Have a good sense of humour - Banter is strong here. Be a team player - team work is key here. Comment below your strength and weaknesses and why you want to join. Like I said everyone is welcome if above age of course but this is the first place of communication. You don't comment you don't join. We only want the players who really want to be apart of the family. We are a crew that has been together for almost 5 years so commitment and loyalty to us is a huge thing! We don’t want to waste your time and we don’t want our time wasted either. We do everything GTAV has to offer from races, TDM’s, Heists to the grind of MC, CEO, Bunker and Nightclub businesses etc. We also from time to time do competitive CvC’s. (don’t worry if you aren’t normally into that stuff as we can train you up). - Fun playlists where every member can pick a personal favourite mode/map. Hosc is a fine crew. They excel in killing, racing, and companionship. Great crew, great ppl. I am looking of like minded Individuals to get to know and get into exciting festivs etc.. and get my feet into actually being in a actually gta/gaming family and see where all of this takes me..
Yo Hells it’s been a while how you doing man?? 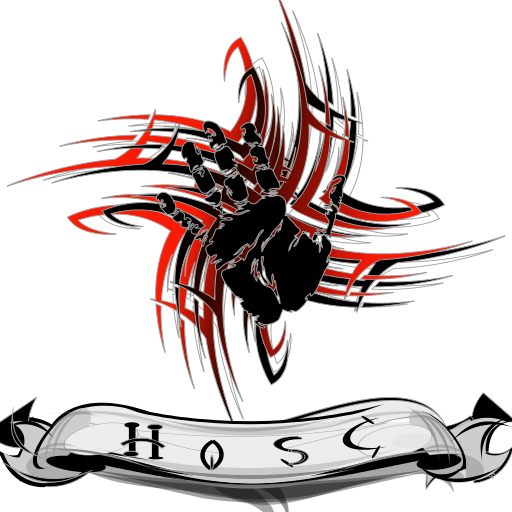 Hello, I’m interested in being a part of HOSC. My strengths are that I have high stamina, I shoot pretty well, I’m very well to get along with, and I am very cooperative. My weaknesses are that my stealth isn’t too great, my depression sometimes takes over some days, and (this isn’t really a weakness for me, but) I am very hard-of-hearing, so I communicating via mic poses quite the challenge. But text messaging works most efficiently for me. I am interested because I want to belong to something bigger than myself. This crew has an aesthetic of camaraderie and unity that is exactly what I’m looking for. I hope I am accepted! Recruitment currently closed as we are updating our recruitment post. But if your very much are interested contact HoSc Phenom.